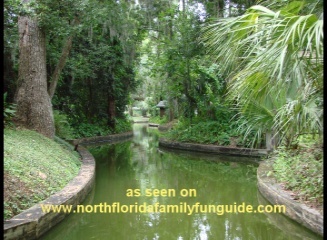 Come enjoy a Peaceful, tranquil, paradise at Scenic Boat Tours in Winter Park, Florida. This 12 mile boat tour lasts about 1 hour and covers three fresh water lakes and canals, Rollins College, Kraft Azalea Gardens, Isle of Sicily, tropical birds, plants, flowers and multi-million dollar waterfront estates. Located in Winter park, just a few minutes away from Orlando, you can immerse yourself in this picturesque adventure that you will not forget. The business has been around since 1938! Your "Skipper", will give you the highlights of all the historical and environmental points of interest. Scenic Boat Tours have six , 18 passenger boats available, so a total of 108 person group can be easily accommodated. Bryan loved feeding the fish, going fast on the boat, and seeing the neighborhood "dragon" hanging in one of the trees down the beautiful tree lined canal. We also saw a cormorant, a red tailed hawk, a white egret, and a nesting falcon. This is a wonderful family adventure that's inexpensive, educational, and children under 2 are free! They are open 364 days a year (closed Christmas) from 10am -4pm and tours go out every hour!! Special group rates are available! This would make a really great mommy group adventure too! After your tour, check out the amazing upscale Winter Park shopping and dining district on Park Avenue, where you can get a fresh scoop of ice cream and some really great coffee, and some unique gifts.